An ABC investigation into domestic violence in faith communities has won the top honour at the 2018 Our Watch Awards for excellence in reporting on violence against women. 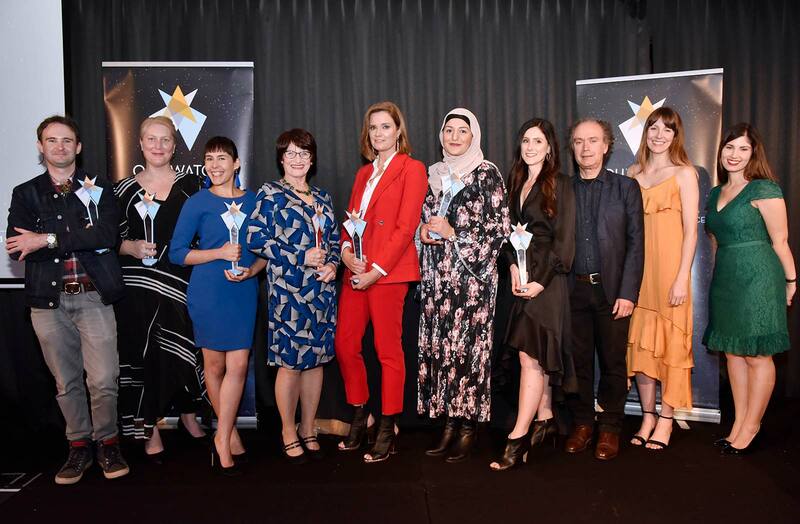 The reports, by Julia Baird, Hayley Gleeson, Debra Jopson, Sarah Malik and Rocco Fazzari, stood out among an impressive field of brave and innovative reporting that has driven important social change. Natasha Stott Despoja, Chair of Our Watch, praised the exceptionally high standard of this year’s winners. She said the overall gold winner, “Religion and domestic violence investigation” on ABC News Online, shone a light on abuse that had been hidden for too long. Ms Stott Despoja said there had been a marked improvement in reporting of violence against women, with media increasingly examining the causes of this violence and avoiding language that blames victims or excuses perpetrators. Winners at the 2018 Our Watch Awards. Photo: Adam Hollingsworth. Our Watch is a national, not-for-profit organisation established to drive nation-wide change in the culture, behaviours and attitudes that lead to violence against women and children. The organisation works to increase gender equality and respect in all aspects of everyday life, such as through schools, workplaces, media, sporting organisations, social marketing, and developing and influencing public policy.